Csite is a Web Development company based in the Pacific Northwest that specializes in Web Design , Social Media Services and Business Development for the burgeoning cannabis industry. 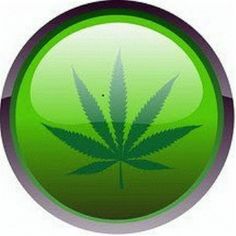 We are dedicated in bringing the best possible solutions for driving traffic and ultimately business to your cannabis business utilizing the internet as a powerful lead generation tool. Csite provides web development services for cannabis industry businesses that provide legal Medical and Recreational cannabis products in all 5 of the legal states. As of 2015 , Oregon, Alaska, and the District Of Columbia have joined Washington and Colorado on the road to the eventual end of cannabis prohibition nationwide. This is good news for many reasons and on many levels.The most notable for entrepreneurs and small business owners is the added boost to local economies as growers,dispensaries,delivery services and other ancillary industries begin to see the benefits of an open market. well rounded knowledge of cannabis,in both its medicinal and recreational applications we can speak your language. businesses.Please contact us today and let us know how we can help you build your Cannabis business web presence. Specialties as a Web Developer. Web design and hosting using the most popular open source content management systems such as WordPress , Drupal, and Joomla. Familiar with the open source eCommerce platform Zen Cart,and eCommerce plugins for wordpress such as WooCommerce. Experienced in Web Server Admin for Linux and Windows based web servers. and others. Utilizing social media as a tool for business development as well as growing clients over all web presence. Creating a solid Web Platform for our clients to grow their web presence and increase the ability for potential customers to find them through organic searches on the internet when using their smart phones, tablets and home computers. We also provide direct prospecting services for our clients , where we research their niche and identify potential customers and make direct contact with them in an effort to start a dialogue and begin the sales process. These services provide a Virtual Marketing Solution for our clients that not only enhances their bottom line, but also saves them the cost and overhead of having a sales force, something many small companies, and sole proprietor businesses cannot afford. We create content for our clients on a scheduled basis that is specific to their niche. The content we use is primarily original and rich with relevant keywords and the proper use of meta tags. We do this process for every webpage we create for their website and social media pages. We then make sure it is published across their entire Web Platform. We also offer a host of auxiliary services that are related to the internet,marketing,sales,web hosting and inter office support . Many times our clients simple need help around the office such as web server admin,email support, troubleshooting computer issues and problems, content creation, banner ads, business cards and more. Essentially we can act as a virtual employee or virtual assistant as it is more commonly referred to, contact us today for a custom quote on these types of services. All of the services that Csite provides can be uniquely tailored to fit our clients’ needs and their budget. We offer a host of monthly service packages , however we also offer time blocks and “bill as needed” services for clients who do not necessarily want or need to be on a monthly service. All of our monthly services are provided with no contract or commitment , you can stop them anytime you choose , however most of our clients recognize the value in having regularly scheduled content added to their web sites and social pages. After all content is the life blood of the internet and without a regular infusion from time to time , a company’s web presence tends to decline.